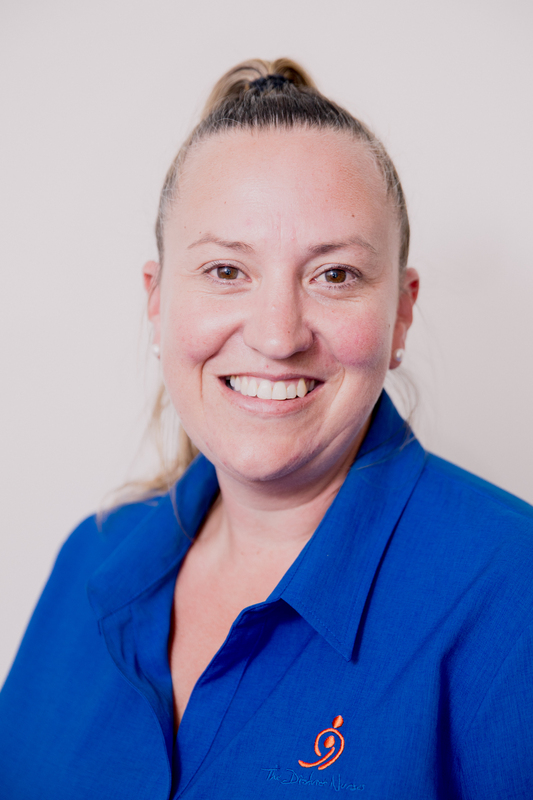 Kelly Frerk was Tasmania’s first Community Nurse Navigator and covers every corner of the island to help people access The District Nurses Home Care Package services. Kelly’s interest in learning skills around caring for people especially end of life care became important when a close family member became terminally ill.
‘I wanted to know everything about their illness and how best to deal with it, not only to get rid of confusion but to empower me,’ she said. Kelly started work with The District Nurses 14 years ago as a Community Support Worker before beginning formal training as an Enrolled Nurse and later as a Registered Nurse. She became the first Community Nurse Navigator for The District Nurses Home Care Packages in 2017. “I am passionate about Home Care Packages “said Kelly. “Packages provide the care and support that the client wants. The funding enables people to make their own choices about what is going to assist them maintain independence in their own homes and communities “Kelly said. Kelly said she and The District Nurses Packages Team learn a lot about a person by going into their own home and are able to give independent advice.